Readers are invited to get an insider’s glimpse at the experiences of one man searching for the truth in Thomas’ Ferreolus’ new contemporary historical fiction, “Sounds of War: Iraq Attack of Thomas Edington” (published by AuthorHouse). Thomas Ferreolus is an outdoorsman who served during Operation Iraqi Freedom. He writes in the Pacific Northwest, where he resides with his wife and family. 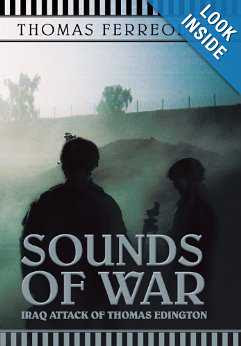 “Sounds of War” is his first published book and marks the start of a planned series. More information is available at www.thomasferreolus.com.